Deter. Detect. Defend. That's 3D. Measuring and monitoring cracks in high-value structures is serious business. Now, documenting, organizing and safeguarding crack measurements is easier than ever. Introducing the CRACKMON® TRACARD® Crack Documenting System—only from Buildera™. 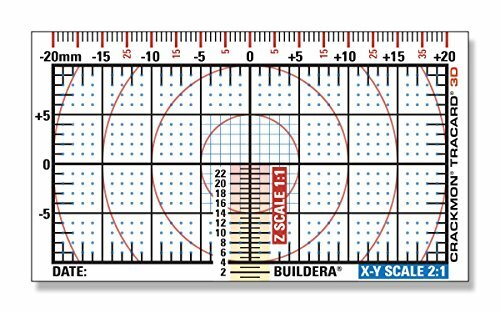 When used in conjunction with Buildera CRACKMON Crack Monitors, the TRACARD System is a handy way to document crack displacement measurements in the field, and organize them later for trend analysis and reporting. Available as complete kits and bulk refills, the TRACARD offers superior reliability to plain-paper tracking sheets that typically accompany most crack monitors. Buildera lab tests show 100% legibility of the TRACARD, even after 48 hours of continuous immersion in tap water. The special combination of papers and inks interlock to form a tough chemical bond that holds up over time, including for use in legal disputes if ever needed. Deter. Use Buildera CRACKMON crack monitors and CRACKMON TRACARD at the first sign of cracks to help deter against future problems. Establishing an early baseline is key to understanding differential settlement or soil issue, which can be seasonal. Detect. With regular monitoring, when changes occur, you'll know quickly and can compare to the baseline measurements. Early detection is key to costly structural repairs later. Defend. Good documentation is key to ensuring structural safety for habitants and workers alike. TRACARD makes rigorous record-keeping possible by keeping you organized in the field an back at the office. This helps you to defend the integrity of the structure and the people and businesses that inhabitants.